Bun updos for medium hair. As far as medium length doesn't allow enough thickness you can backcomb hair to add some more volume to the bun. Knots for medium hair. Nowadays knots are extremely popular cause they take just a minute to create and they need no perfection, messy knots with some strand left out are the trend. 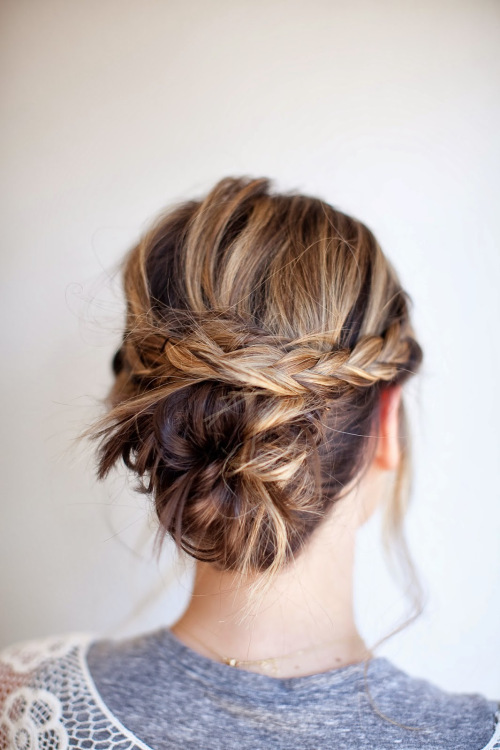 Braided updos for medium hair. 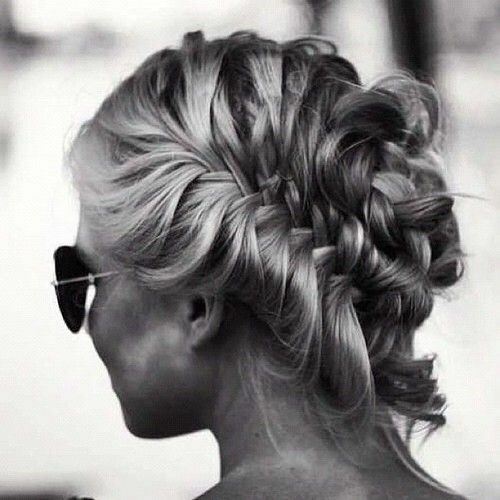 You can hardly find any sophisticated modern updo without any braid. In casual life braided styles are also extremely popular, so be quick to learn plaiting techniques. Multi-component updos for medium hair. Quite often we, ladies, like to mix up things. The same is about hairstyles, curls and buns, braids and twists, contrastive styles put together are our passion.